I've thought about getting a tattoo to represent my zodiac sign for a loooong time, but I tend to be so picky with the tattoos that I want to get that it has taken me forever to land on a design that I'm satisfied with. And even after looking through so many different kinds of Aquarius tattoos, I'm still not sure of what I want to end up getting. ​I've always liked the idea of people getting tattoos to represent their zodiac sign because, in my opinion, your zodiac sign is part of you. Your zodiac sign is something that can explain why you are the way you are or parts of your personality that you might not have understood before. And even if it's supposed to be fun and not too serious, a lot of people like talking about their zodiac sign. 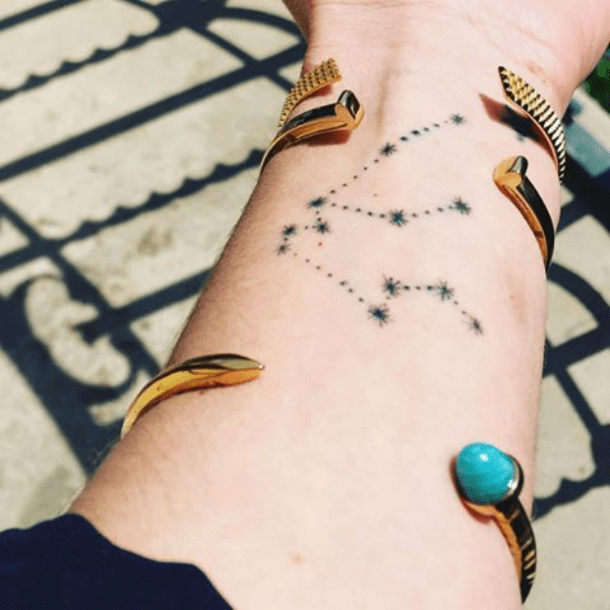 Plus, if you had a way to show off your love for your zodiac sign in the form of a tattoo, wouldn't you want to? All of that said, you are probably just as indecisive as I am about the kind of tattoo you want to get. Whether you get one that just says Aquarius, the wave symbol for the water-bearer, a constellation of your star, or anything in between, there are just so many different designs you could choose from. Then, you have to decide if you want black and white or color, traditional or some modifications to make it your own. In short, it can be crazy overwhelming to decide on a tattoo. 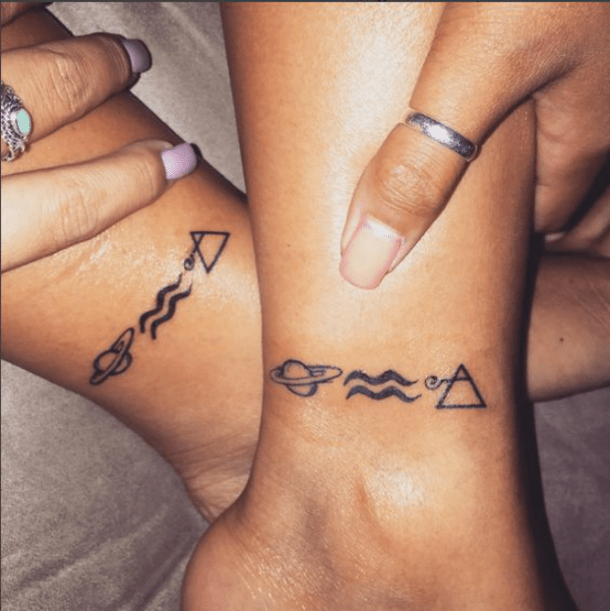 Plus, you already know that tattoos are permanent, so the tattoo that you DO choose for your zodiac sign is going to be with you for a very long time. Thus, you are going to want to choose something that you absolutely love because you're going to see it every day. If you ask me, you can't have enough tattoos, so if you can't decide between a few that you see here, then you might as well just treat yourself to all of the ones that you find cute because life is short and if it makes you happy to have more than one Aquarius tattoo (or just a ton of tattoos in general), then do you. 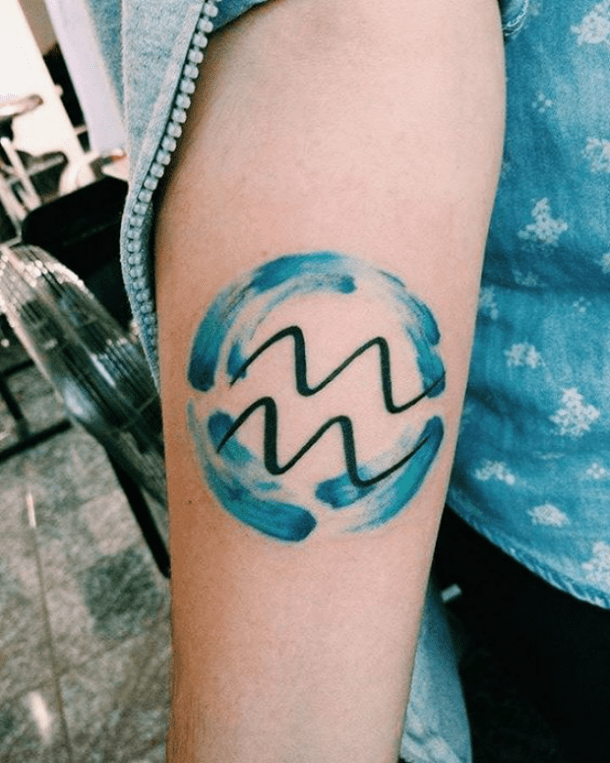 Here are 25 of the best Aquarius zodiac sign tattoos so you can finally show off just how much being an Aquarius means to you. 1. Minimalist tattoo, yet memorable. The perfect placement if you want your tattoo to be seen, but still small enough to be subtle. 2. 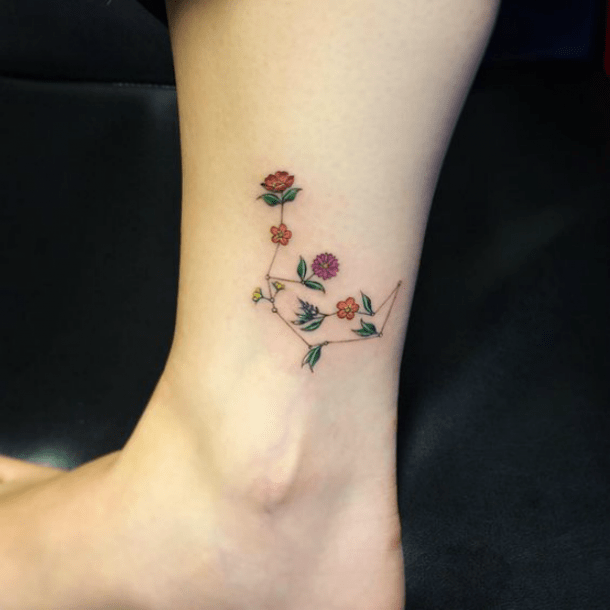 A constellation tattoo made of flowers. The Aquarius constellation is pretty enough, but if you want to add some flair, replacing each star with a flower is a unique touch. My favorite thing about finger tattoos is that they can be hidden if you need them to be, but are also adorably cute on anyone's fingers. Any Aquarius will like the unique placement! 4. An underboob tattoo that's a step away from the norm. You don't necessarily need to have the Aquarius symbol tattooed on you to rep your zodiac sign. Plus, a lot of people equate the water-bearer to mermaids and what's better than having a mermaid tattoo to show everyone you're an Aquarius?! 5. A dainty constellation that's sure to be a conversation-starter. There are a lot of constellations out there, right? And someone is bound to ask you what the constellation tatted on your arm means. And an Aquarius will definitely LOVE to talk about their new tattoo and how meaningful it is to them. 6. 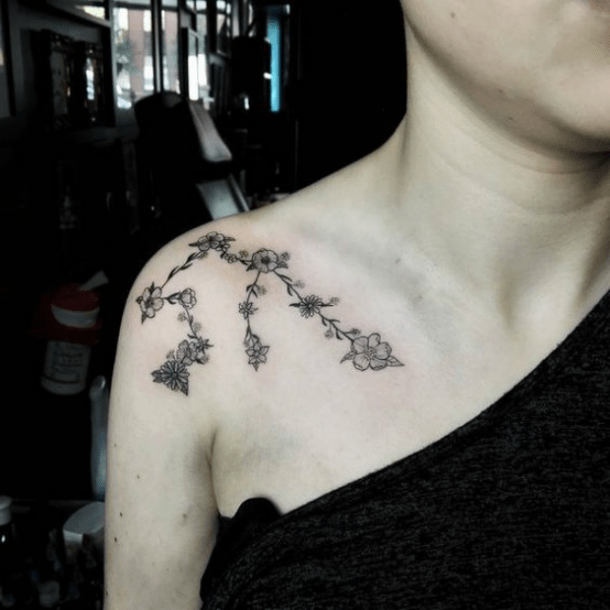 Another beautiful flower constellation tattoo. Forgive me for geeking out, but these flower constellations are just so clever and different! And if that isn't enough to sell an Aquarius on a tattoo, you can pretty much put together a flower constellation tattoo with any flower you choose, so it's guaranteed to always be unique. 7. The symbol for air sign is like getting an Aquarius-adjacent tattoo. If you're not that big on the water-bearer symbol, that's totally fine! Aquarius is an air sign, which in itself has a ton of meaning, so don't be afraid to get the symbol for air signs to show love for your zodiac sign — it still counts! 8. Or maybe you DO want a big water-bearer symbol which has a deep meaning all its own. If you want to get an Aquarius tattoo, I say do something big and bold like this. Plus, the splash of watercolor behind it really makes the black stand out. 9. 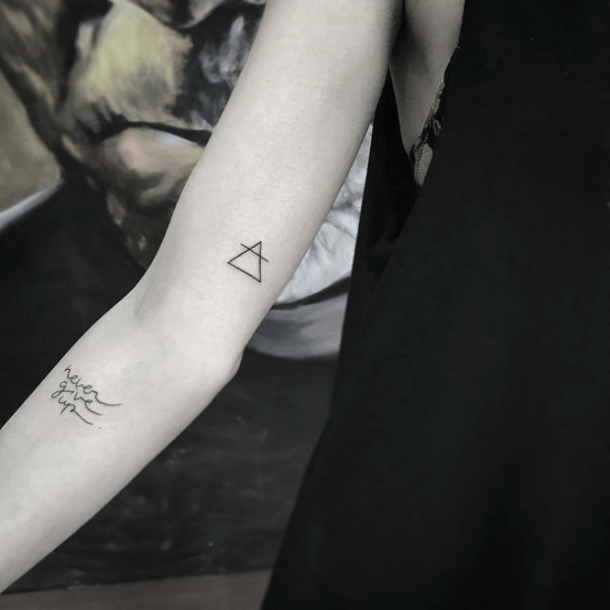 Go a little old-school with your black and white tattoo. 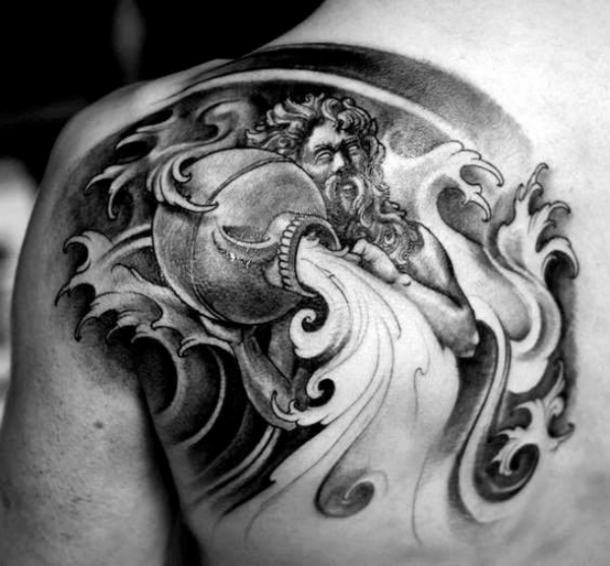 Okay, I understand that Greek mythology is VERY old-school, but the OG water-bearer in black and white is not only badass, but it's a very classic take on an Aquarius tattoo. 10. 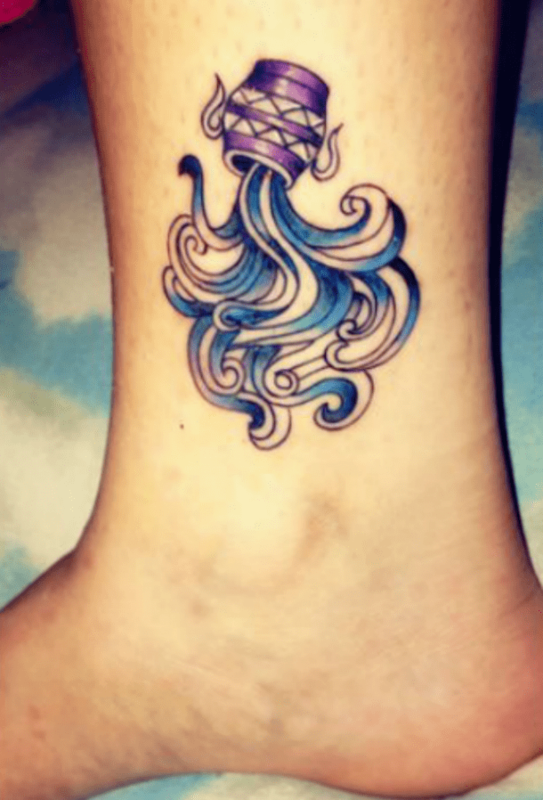 One of the prettiest Aquarius tattoos ever! 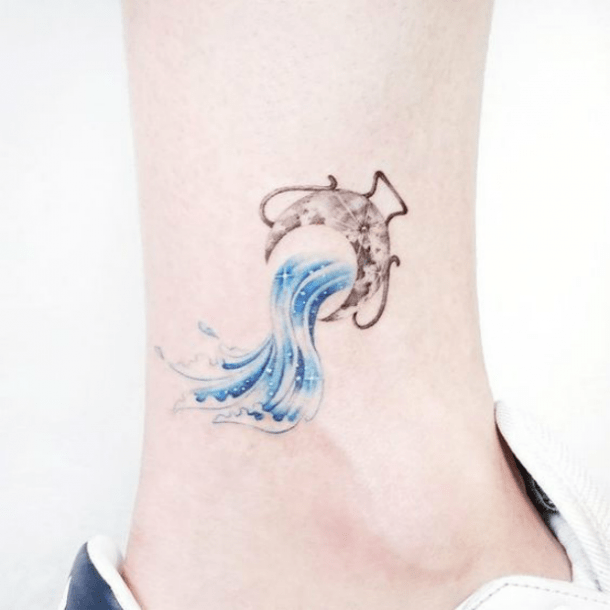 I love this tattoo because it's a classic Aquarius water-bearer symbol, but the vase the water is being poured from is actually a crescent moon and the waves are all sparkly and pretty. This one is definitely eye-catching for all the right reasons. 11. Go big or go home. Sure, you could go out and get a tiny Aquarius symbol tattoo or you could go big and get an entire scene on your arm. You've got a water-bearer, some lotus flowers, a scary skull, and a sun-moon thing gazing down on the whole scene. I love this because it's saturated in color and the whole tattoo tells a story. 12. A stained-glass tattoo to brighten up your day. I've never thought about getting a stained-glass tattoo, but after seeing this one, I may have to rethink my Aquarius tattoo options. 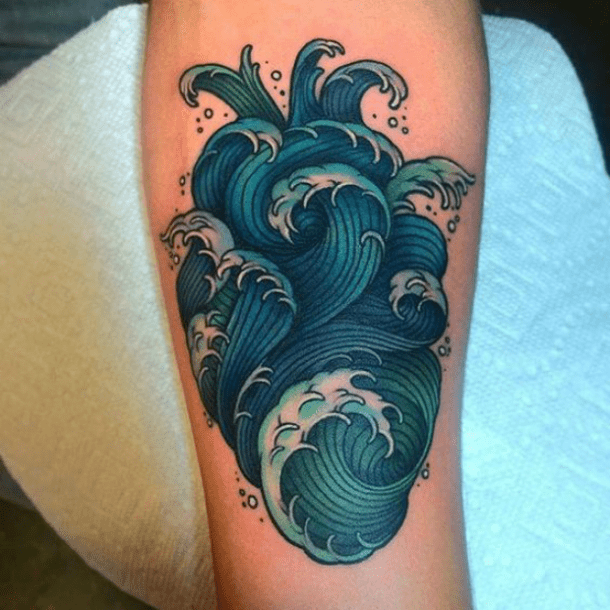 This tattoo in particular is so eye-appealing, plus it's got some gorgeous ocean waves that can mean water-bearer or even just your love of the ocean (which is something a water-bearer would probably say). 13. 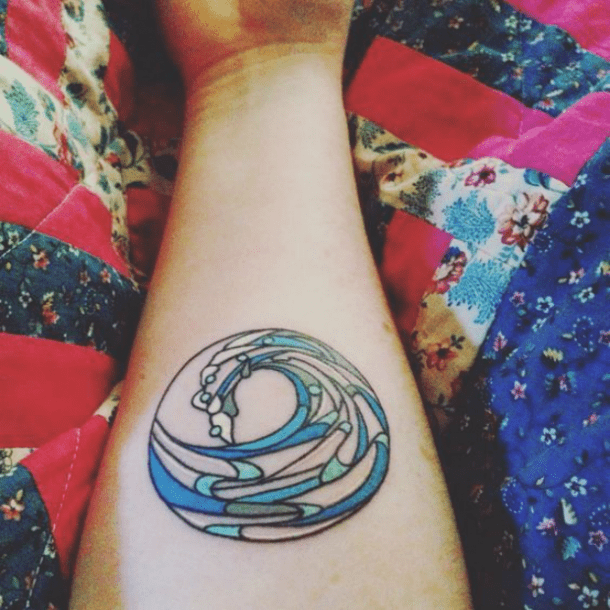 The perfect tattoo if your heart belongs to the ocean. Any Aquarius would love this tattoo because it's totally unique and gorgeous, plus it's in a place that can be both hidden and shown off. The water-bearer needs a lot of options to be happy, so this tattoo is definitely in the running for most interesting Aquarius tattoo. 14. When you want something with lots of character. You've got a mandala-like object in the background and a water vase in the front — this tattoo has tons of character! 15. Or something with a lot of symbolism. This tattoo has all kinds of symbolism for Aquarius: It's ruled by the planet Uranus, it has the water-bearer symbol, and the symbol for air sign. Plus, it's tattooed on the ankle, which is the body part Aquarius is said to rule. How meaningful! 16. 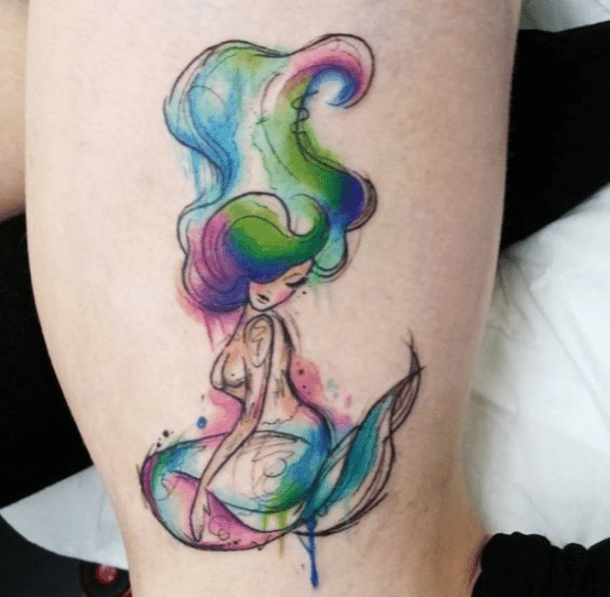 Another mermaid tattoo — this time with lots of color. 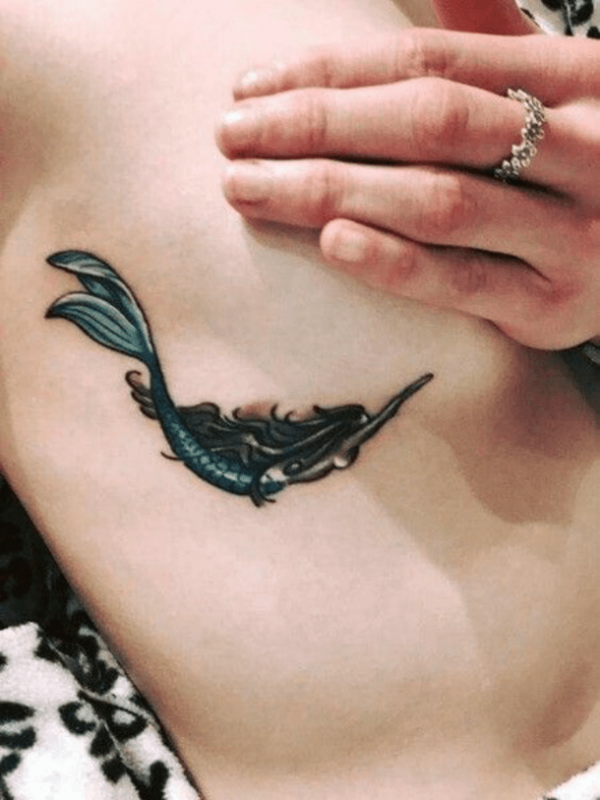 If you want a mermaid tattoo to symbolize Aquarius, but not so much the classic mermaid, this one is perfect. It's packed with color and is more like an art piece than just a simple tattoo. 17. 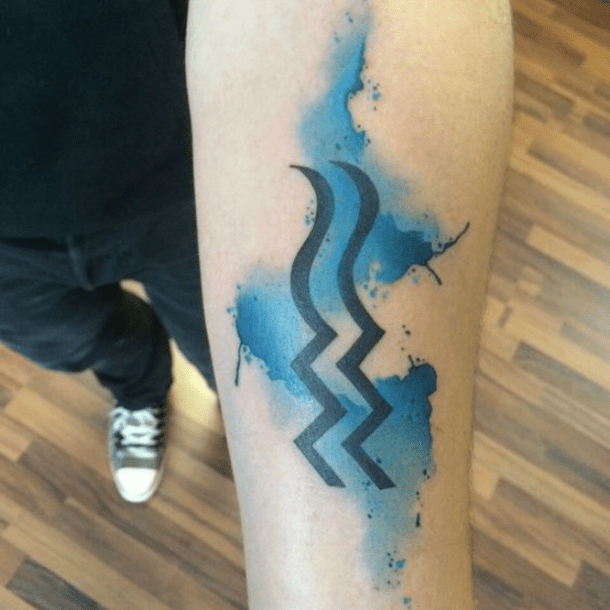 A classic Aquarius symbolic tattoo with a hint of color. This tattoo is a little different than just getting the symbol for Aquarius tatted on you because of the hint of color. It definitely made me look twice at it! 18. 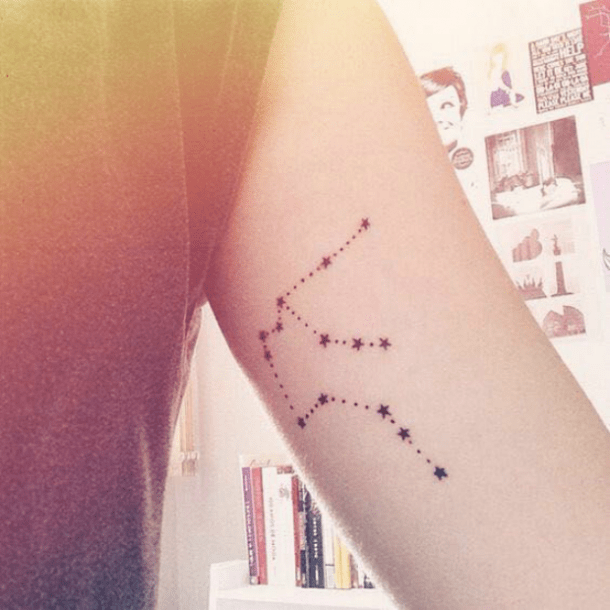 A classic constellation tattoo. Aquarius is a zodiac sign with a lot of original ideas, but they do like making classic things their own, too. 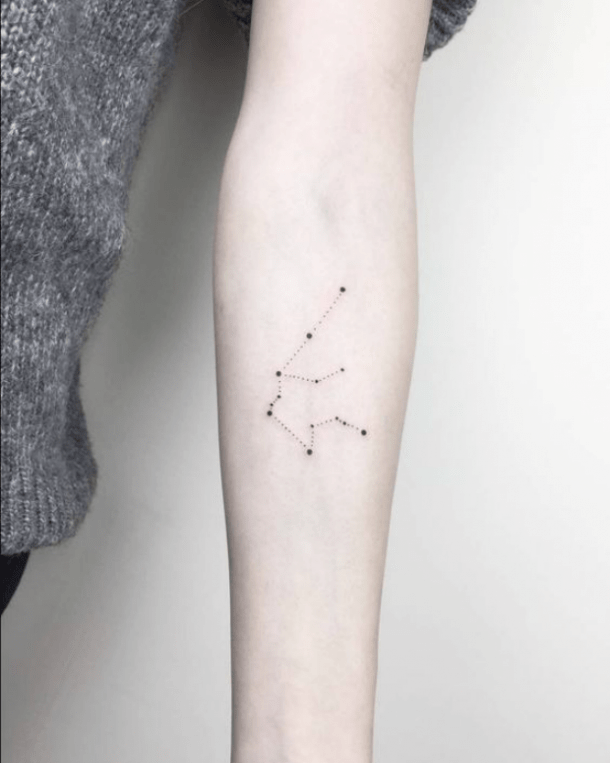 This is a classic constellation tattoo, but as an Aquarius you can make it your own by placing it anywhere on your body and maybe even getting it done in a color other than black. 19. Another classic constellation arm tattoo. 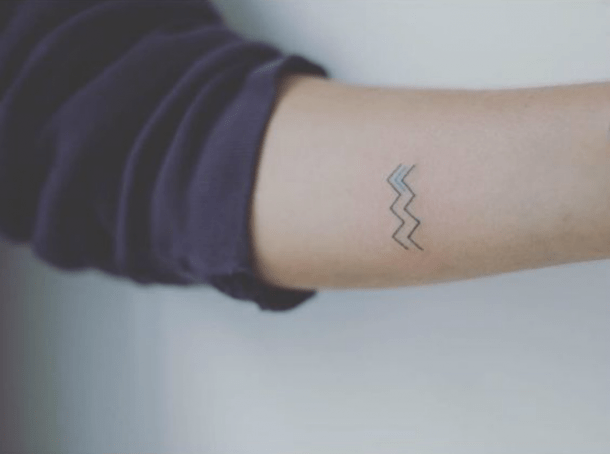 Astrology is all about the stars, so why not stay true to the original meaning of Aquarius and get a tattoo of the constellation that made you who you are? 20. A watercolor tattoo for the colorful Aquarians. I love these watercolor tattoos because you can do them in any color and still come out with a vibrant tattoo. Plus, the water vase for Aquarius is the perfect tattoo if you want just a hint of color in the water or if you want to go all out and pack it full of different colors. 21. 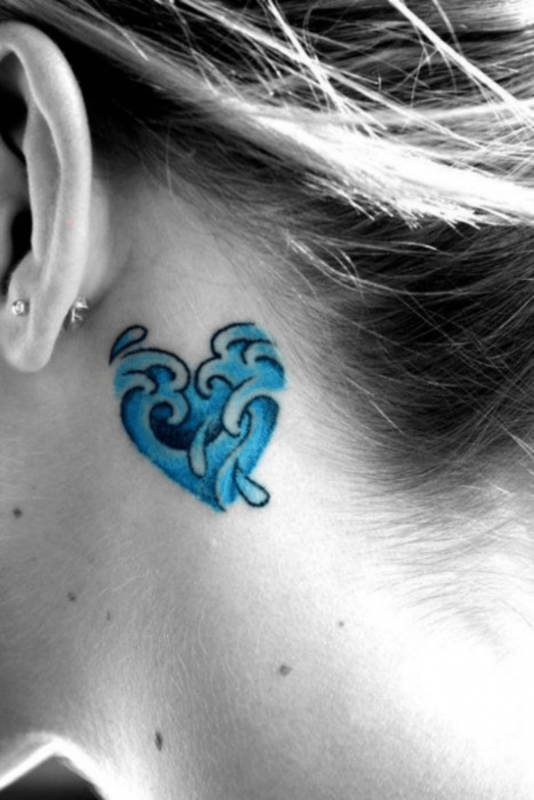 For when your realistic tattoo heart belongs to the ocean. 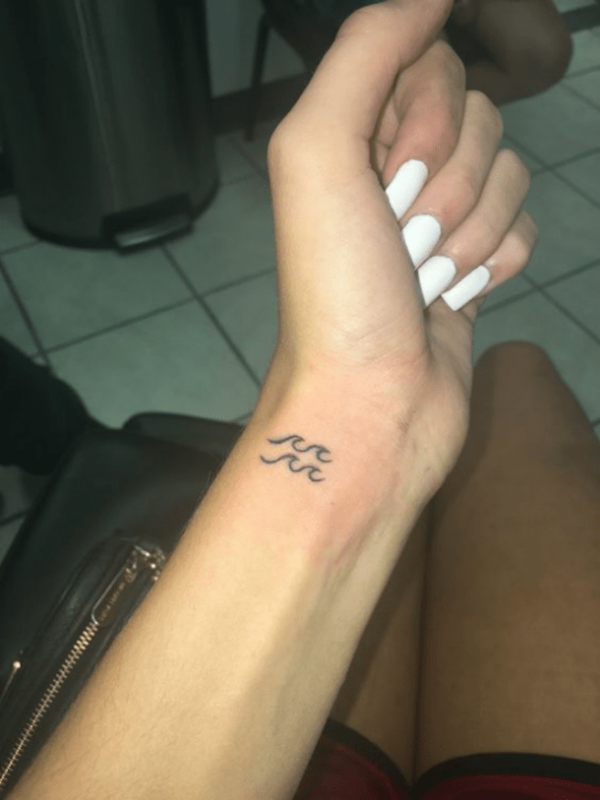 This tattoo is seriously gorgeous and can have a lot of meaning, but if being an Aquarius means a lot to you, this is the tattoo to get because being a water-bearer takes a lot of heart. 22. The symbol for the planet Uranus. This tattoo reminds me of the air sign symbol — you might not want to get the water-bearer symbol, but you can still rep your zodiac sign. 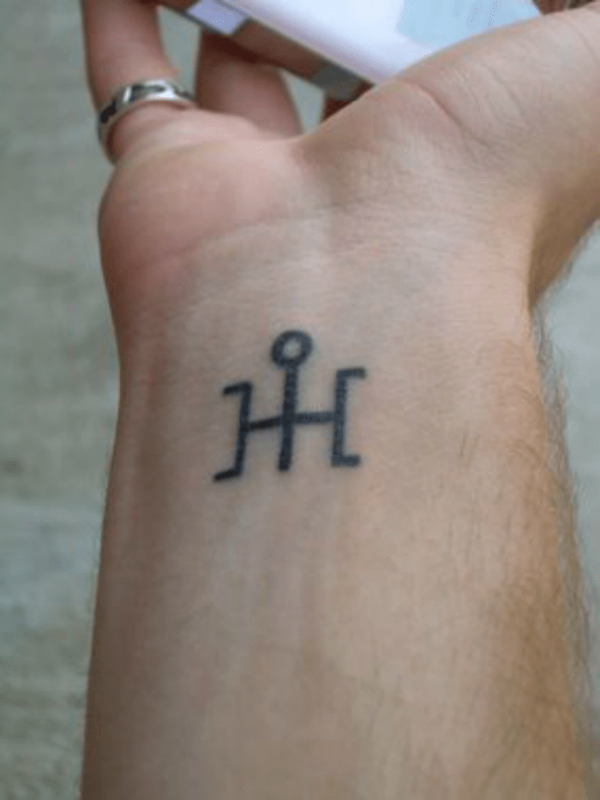 Aquarius is ruled by the planet Uranus, which is the planet of originality (hello, everything Aquarius is), so this symbol for the planet is a perfect tattoo for Aquarians. Getting a tattoo on your ribs might hurt, but it's a great placement for people who want something only they can see every day. 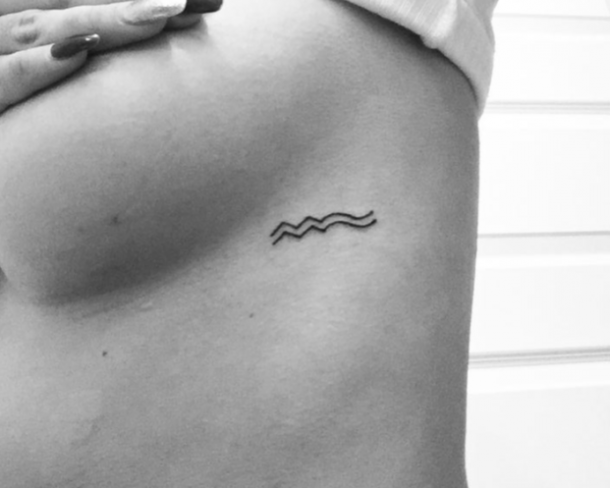 And the subtle waves is the perfect way to say, "Hey, I'm an Aquarius, but this tattoo is just for me." 24. 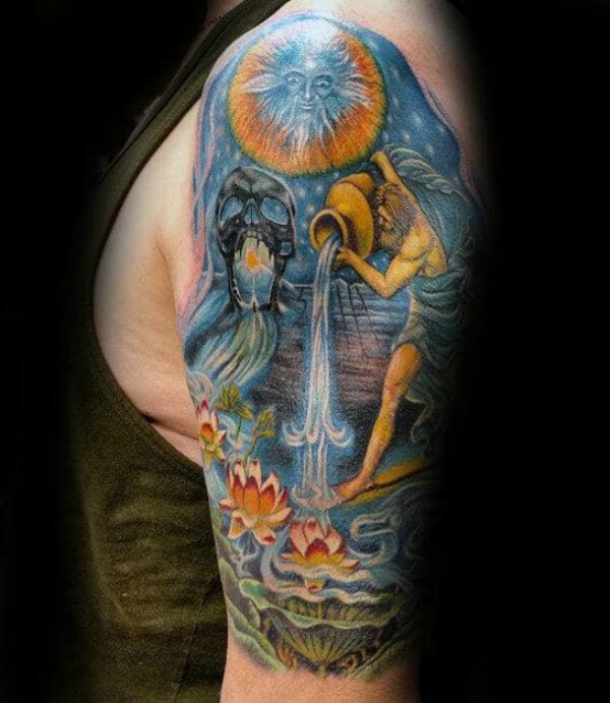 Here's an amazing take on the water-bearer tattoo. 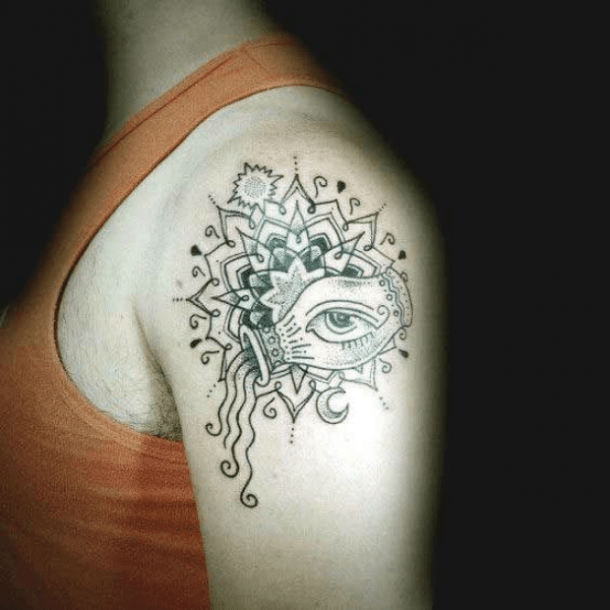 The water-bearer is always pictured pouring water (duh), but if you want to do something different — and which zodiac sign doesn't — this tattoo is an amazing take on the Aquarius symbol. Plus, here's another way you can incorporate color into your tattoo in a way that makes this tat look like a piece of art. I love it! Yay! More watercolor! This tattoo is straight-forward (you can't deny that's the Aquarius symbol), but it's still unique and packed full of color. 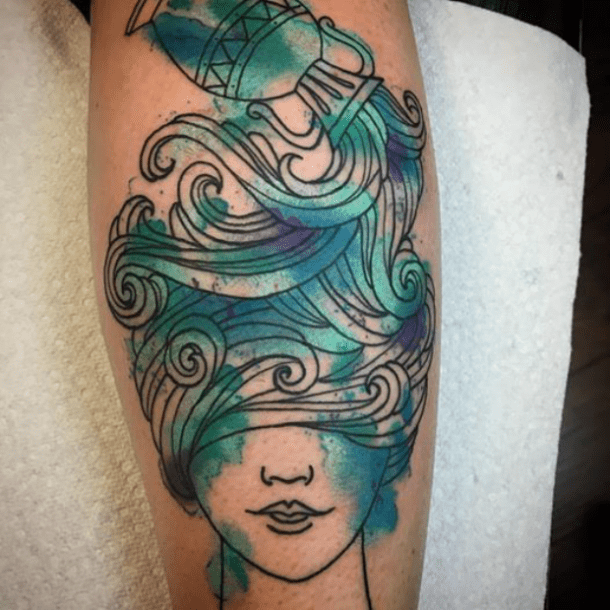 If you're an Aquarius, you're already taking notes for the kind of tattoo you want, but this one is a mix of classic Aquarius and unique Aquarius that I love.